Most people know that their risk of cardiovascular disease increases as they age, but several recent studies have shown that biological signs can also serve as an indicator. We recently reported how graying hair in men could point to an increased risk of heart disease, and now researchers are stating that the same could be true of hot flashes. Researchers working with the North American Menopause Society (NAMS) have found that frequent and severe hot flashes may indicate vascular dysfunction – a leading cause of heart disease – in younger midlife women. 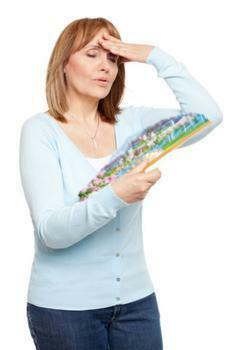 "Hot flashes are not just a nuisance. They have been linked to cardiovascular, bone, and brain health. In this study, physiologically measured hot flashes appear linked to cardiovascular changes occurring early during the menopause transition," said Dr. JoAnn Pinkerton, executive director of NAMS. The study tested 272 non-smoking women between the ages of 40 and 60 to investigate the relationship between hot flashes and function of cells lining the blood vessels (endothelial cell function). The researchers found that hot flashes only seemed to affect blood vessel dilation in younger participants (40-54). This indicates that early occurring hot flashes may be the most relevant to heart disease. “Among younger midlife women, frequent hot flashes were associated with poorer endothelial function and may provide information about women’s vascular status beyond cardiovascular disease risk factors,” the researchers said. The full study has been published in Menopause.